In the end, it turns out that TWO cities have won the “prize” of Amazon building their new headquarters in their city. One city where a secondary headquarters will be built in New York City and the other will be the National Landing area in Crystal City, Virginia which is just outside of Washington DC. This means that the much sought-after 50,000 job headquarters will be split between two cities, providing a major boost to the economy of each destination. With an AMA Executive Conference Center located in Crystal City, we couldn’t be more excited about this announcement! Amazon’s founder and CEO Jeffrey P. Bezos states that they chose these cities because they believe that both locations have the potential to attract world-class talents to fill their job vacancies. This will allow Amazon to invest in their customers for years to come. It also allows Amazon to become a more vital part of these communities where they build their headquarters and provide good, quality jobs to residents in that area. Northern Virginia has always been a prestigious place for building business and all signs point to that continuing in the future. Many suggest that this area could essentially become a Silicon Valley of sorts that is located on the east coast if trends continue throughout the next decade. Amazon coming to the area means that even the biggest businesses in the world are interested in investing in the Northern Virginia area, which gives it the potential to continue to grow rapidly in the near future. 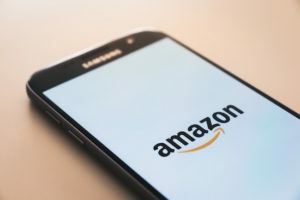 Moreover, Amazon coming to the Northern Virginia area means that the price of deals being done with businesses is continuing to grow as well. Amazon was offered an $819 million package deal by Virginia Governor Ralph Northam and other county leaders. In return, Amazon estimates 25,000 jobs will be created with a median salary of $150,000 per year in wages for each position they fill. The Amazon deal that was signed in Crystal City is a once-in-a-generation sized deal. Amazon is expected to invest over $2.5 billion in the commonwealth and this project is on track to generate over $3.2 billion in tax revenue. These 25,000 jobs are all expected to be in place by the year 2030. Hiring is set to begin in 2019 when about 400 people will be hired and by 2020 that number will balloon to 1,180 more people being hired. It will continue to increase throughout the next decade until all 25,000 jobs are in place at their new headquarters in Crystal City. The new Amazon headquarters coming to the Crystal City area continues to prove that Northern Virginia is a mainstay on the national market for attracting businesses to build and develop facilities in that area. This, in turn, raises the value of the homes in the area and the standard of living in this part of the state. While Amazon is one of the biggest announcements that Northern Virginia has made as far as businesses coming to invest in the area, many others are also interested in investing in Northern Virginia’s local market and are looking to take part in this booming part of the US economy. AMA Executive Conference Centers will be on hand to greet Amazon as they move their headquarters into Crystal City. For more information on our Washington DC area Center located in Crystal City please feel free to contact us.